Marine Lance Cpl. 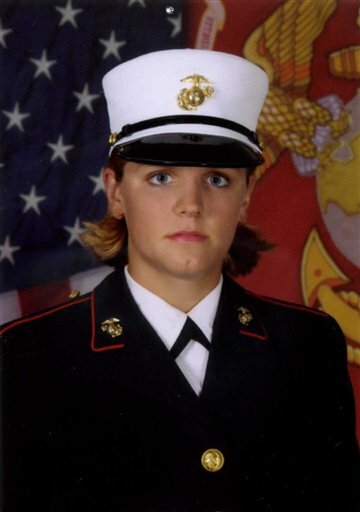 Maria Lauterbach had been raped in May 2007 and protective orders had been issued against the alleged perpetrator, fellow Marine Cpl. Cesar Laurean. The burned body of Lauterbach and her unborn baby were found in a shallow grave in the backyard of Laurean’s home in January 2008. Laurean fled to Mexico, where he was captured by Mexican authorities. He is currently awaiting extradition to the United States to stand trial. Lauterbach’s mother testified before Congress on July 31, 2008, that the Marine Corps ignored warning signs that Laurean was a danger to her daughter (testimony of Mary Lauterbach to the National Security and Foreign Affairs Subcommittee of the Oversight and Government Reform Committee, nationalsecurity.oversight.house.gov/documents/20080731134039.pdf). Indeed, this is just another in a much to long list of ways in which the military continues to send the message that women who serve in the military are at more risk of being harmed by their fellow soldiers than by any enemy and that contrary to the expectation that every soldier has, that their comrades have their back, for women, it is decidedly not so. I am one of many who have experienced MST, but lived to tell it. To her mother, I am so sorry for your loss. Him to give his account for his life and his sins. WHAT ABOUT LAVENA JOHNSON? WHERE IS THE JUSTICE FOR HER??? Media Complicity In The U.S. Exploitation Of Afghan Women’s Lives As A Call For War Ms. Magazine Blog: Feminists Conflicted About Helping Women In Pakistan–Say What?